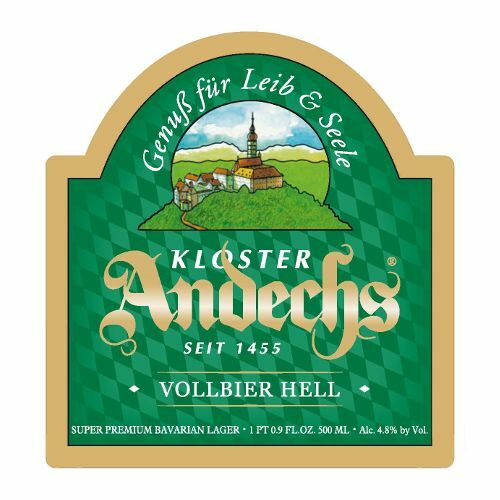 "A product of traditional multiple mashing, Andechser Vollbier Hell presents a bright straw yellow and clear gleaming look that cannot fail to fascinate. Its head is firm and fine pored. 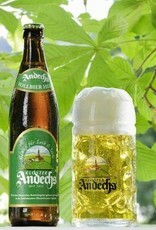 Its aroma is pure and fresh from the cellar, with soft malty accents imbued with floral hoppiness. 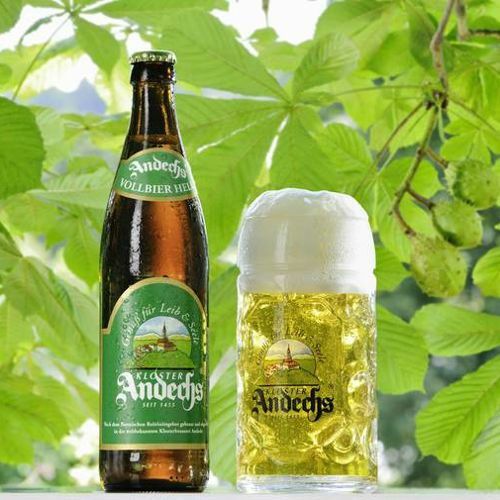 Its light and soft body leaves a pleasant, tangy taste in the mouth. The mild sweetness marries well with the velvety bitterness of the hops. It concludes on a rounded, harmonious note. 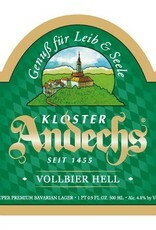 Andechser Vollbier Hell is therefore a classical Bavarian Vollbier (11.5% original extract and 4.8% alcohol by volume)."